IBM® Connections™ Cloud is cloud-based software that integrates email, online meetings, instant messaging, file sharing, collaborative document editing and more in a unified solution. Colleagues, business partners and customers can access these capabilities from a personalized dashboard to manage work, communicate, and prioritize information through analytics. IBM Connections Cloud supports mobile devices and offers the security, simplicity and cost control of an IBM cloud solution. Choose from three IBM Connections Cloud packages to fit your needs and budget. You can also purchase the IBM email and online meetings solutions separately. Work for IBM Connections Cloud? Learning about Enterprise social collaboration? "Great product to share information and work collectively. " I use it to share several documents with our division which allows for several people to work out documents, share them and even fill in parts of it allowing others to complete other parts. It also sends e-mails once the file is updated. Finally it allows the admin to manage permissions to folders and sections. When two persons or more use the same file it creates confusion and I had issues in which some information gets lost, also I’m not too fond of the first time setup. If you are looking for a robust solution with high security this is your best bet, just ensure you are coordinated and have someone savy to configure it for the first time which sometimes is troublesome. Collective working on a particular project which required constant updates and different inputs many times on the same file, this system allowed collaborative working at our own time. "IBM Connections Cloud is the best cloud software when it comes to your business needs. " I love the fact that IBM Connections Cloud is compatible with mobile devices, it makes it much more efficient than competitors. Another of my favorite features is file-sharing, as well as the ability to collaborate with others for editing documents. I think many people in the business industry would agree with me when I say that being able to remotely edit documents with co-workers or partners is imperative. I truly feel that my information is safe with IBM Connections Cloud. They take the safety of their users information seriously, which is a nice change of pace within our world today. I cannot truly say that I particularly "dislike" anything about IBM Connections Cloud. I would say that I feel as though a simpler, more organized dashboard format could be beneficial to users. If you conduct business or work remotely, you know the struggle of trying to stay in the communication "loop" with your partners. IBM Connections Cloud is the perfect option for staying in the loop of business communication. They support mobile devices making it even easier to manage your business communications. Personally, I use IBM Cloud Connections on my Apple devices and it runs smoothly without issue. They not only support Apple mobile devices, they support Android and Windows as well. They also support a multitude of different internet browsers and softwares. You cannot go wrong with IBM Connections Cloud, it allows you to work more efficiently which will aid in boosting your productivity and you can always feel at ease in knowing that your information is safe and secure. 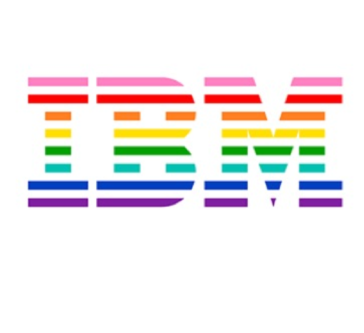 IBM Connections Cloud has impacted my work by giving me the ability to manage online meetings, file-share and to utilize the document editing collaboration feature. I believe that the developers at IBM Connections Cloud understand how crucial these services and features are in the business industry, mainly because of the vast geographical locations of coworkers and business partners. With IBM Connections Cloud, it does not matter where you are located, you can still work efficiently and effectively because of the proficiency of this product. What CCaaS solution do you use? "IBM conection Cloud a profitable option in the company." Many use of a cloud provides many sales with IBM Conection Cloud has the particularity of having an adequate integration of the various tools required in the work activities, and also the key aspect is the security of information, since many times apply physical servers can always be in danger of suffering any eventuality that can cause losses, with the cloud computing not only works in a more comfortable way but through this environment can be more organized, productive and dynamic, and of course if of this product is based on Cloud hibriod in which you can take full advantage of its potential. * It is too dependent on the provider so all the activities and activities are due to this in this case IBM. There is always the possibility that privacy is vulnerable, although the terms and conditions of the contract make it clear that we are always protected, although the case of IBM has a high prestige, but it is a key aspect that must be taken into consideration. .
* Access to the internet is unpredictable because if for any reason one day is cut or fails, no activity can be performed. If what you need is a good Cloud Computing this is one of the options that guarantee a good experience as end user and in terms of performance, it has a user interface adapted to your needs, dedicated support and good scalability. It speeds up the commercial process, it saves a lot in equipment, especially related to peridoos of obsolescence, it offers a fast implementation and a very good user expectation. "Use IBM connections to stay in touch with your team"
It is a very complete application allows you to filter the information to visualize only what you need, work on documents in Office format, with instant messaging you keep in touch with your work team in real time, make and leave notes, assign tasks, you can also schedule important events in the calendar. It is difficult to make corrections to Office documents, it works better if the edits are small corrections. Since the presidency of our company is very easy to delegate, assign and monitor our activities with this platform, everything progresses very smoothly and without major complications. Each department has considerably improved its productivity and we have had very good results. Very Nice collaboration tool for enterprises, it allows sharing mostly all content you may require. I love the desktop plugin. by the of it, you can share files as if they were at your local disk with easy and familiar way. A very nice tool indeed, anyway, as content grows, you find a challenge trying to find the specific content you may require. Make sure you properly plan the structure and form of the site,,, you may get lost if no proper structure is defined from the very beggining. Not sure if IBM connectiosn may be suitable for you if you're a small organization. definitively recommended for mid to large enterprizes. if you have branches across locations this solution may be good for you as well. We can set internal forums, voting platform, we can have nice discussions and share content across the globe. IBM Connections is the choice to get social in a professional environment. "IBM CC works great when working collectively"
IBM Connections Cloud is very helpful when sharingg documents within the department or with other departments. It also allows others to improve documents and add to them. I like that an email is sent once a document is updated and/or completed. Not much to dislike. However, it is a little confusing when two or more people are working on the same document. Had a few times were documents did not save correctly and were not updated live. Sharing a document with a particular co-worker. Specially when working in projects with someone else or need someone’s input on a certain project. It’s benefital since it’s convenient and saves me time and effort to locate others. "Design Project Enhanced through Collaboration Game-Changer"
This software has completely changed the game when it comes to team collaboration. We have been able to host virtual meetings and share important documentation immediately with stakeholders. Additionally, this product is affordable on a student budget. The only downside we’ve experience is when we’ve had problems with Internet connectivity. Since all of the documents are stored in the cloud, you must have a solid connection in order to access. We’ve realized increased transparency and productivity as a team. We no longer have to scour through our email inboxes to search for a document. It’s extremely beneficial to have all of our documents stored in an accessible location. It makes connecting at the restaurant very simple and easy . Yet efficient . Helps keep all monitors up and running. It crashes with the system . Takes awhile to update the back up battery dies and is super hard to get a replacement in thus not allowing us to back our info up . "Suitable Solution for Unified Collaboration Tool "
The ability to more simply unify various integration tools sets this apart from other similar solutions. The formatting displays differently on different browsers. Ensure you have a clear business strategy intact prior to implementing. The bells and whistles are there for you. It's what you make of it. Our company transitioned from Jive to IBM Connections recently in order to more efficiently connect with a number of other collaboration tools. I like that you are able to do multiple things such as online messaging, online meetings, and file sharing all at once with others from the workplace. IBM Connections Cloud can be a little confusing when first learning how to use the program. IBM Connections Cloud helps us as a business become more unified and able to share and edit things amongst each other. "Pretty good, minor things I would personally change about the software"
"Excellent Product for Sharing Information"
"Very good for social intranet connection "
Easy to use with solid architecture. It’s one of the best social interactions made by IBM. It also crosses over from MAC to Windows which is great. There isn’t really a way to train through the app so you have to find some outside party to help. The communication between workers is much swifter. "Review on IBM Connections Cloud"
It's one of the most useful product for meetings and collaborative work involving many people. It's cloud based software is a really useful and efficient platform. Nothing much, they can still improve on media exchange like videos and audio quality and encryption. "Does what it is supposed to, but feels outdated "
It’s a simple system to get the hang of, and the interface is equally as basic. The software crashes quite a bit, but with updates it fixes itself out. It’s so easy to coordinate and simplify how I get my information and collaborate with other coworkers. The most helpful about Ibm is that they always have someone available for support. Also works very good when we have meetings and some co-workers are out of the office. The worst part is that sometimes it freezes the meeting. "Excellent way to thrive with today’s technology"
The concept is great: share knowledge on different mediums/methods to further explore how to make a group/company/idea better. I wishing that sharing and managing files was a little simpler. Communication and getting ideas across much faster. Learning about IBM Connections Cloud? * We monitor all IBM Connections Cloud reviews to prevent fraudulent reviews and keep review quality high. We do not post reviews by company employees or direct competitors. Validated reviews require the user to submit a screenshot of the product containing their user ID, in order to verify a user is an actual user of the product. Hi there! Are you looking to implement a solution like Enterprise social collaboration?